Paddling with Greenland-style paddle (GP) is surprisingly shoulder-friendly and easy on the body in general, and you can do it in the kayak you own now! The use of Greenland paddles for touring is growing quickly because of the excellent ergonomics, and their connection to the ancient past of kayaking. But when switching from a "Euro" paddle to a Greenland paddle, all the paddling strokes are done differently. This course will show you how to use these ingeniously simple paddles to their maximum efficiency! You will have the knowledge and skills to paddle a Greenland paddle in the same waters you're used to use a Euro paddle. 1 : 6 (MAX) Our ratio is the lowest in Alberta to ensure you have the best instructional experience possible! ? Part of the famous Undercurrents experience! Greenland paddles are provided for those that do not have their own. It's best to learn with your own, if you have one. Kayak and related gear is provided. You are encourage to learn in your own kayak, if it has sealed airspaces at each end and a perimeter line. You do not need a Greenland-style boat. This clinic is designed for adults - all participants must be at least 16 years old. Children 12-15 are welcome to participate if a parent is also registered in the clinic. All participants are required to complete and sign our standard waiver. All of our instructors are Paddle Canada certified! Their certifications are current, and they undergo regular professional development. Most paddling schools in Alberta don’t meet that standard. ? Part of the famous Undercurrents experience! Once you know how to properly use these ingeniously simple paddles, you may want to build your own? Register for our Build your own Greenland Paddle course to build your own custom paddle over the weekend! Expert instruction and all supplies are provided. Undercurrents is the only school in Alberta that offers Greenland paddle instruction! ? Part of the famous Undercurrents experience! Successful completion of Kayak FUNdamentals, or Kayak Discovery Clinic with additional experience, or equivalent skills and knowledge. 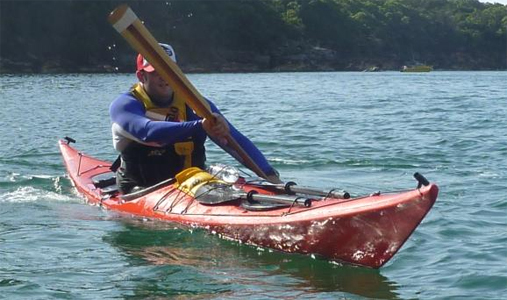 Even the most advanced paddlers will benefit from this course. Interested in another date? Call or visit the store!